If you’ve never had mold before, chances are you’re not aware of the dangers it presents. The fact is, mold represents several health risks to you and your family. It can also cause financial distress if it affects the valuable property, such as paintings or antique furniture. On the other hand, you may have already contacted an expert on the matter. While you wait on what happens next, here are some tips on what to expect and why. Knowing these facts could help you avoid getting into the situation again. The trick about mold is that it can grow for a while without being detected. As a result, your items could be severely damaged without your knowledge. This can lead to significant financial losses. For this reason, it’s important that a mold removal site is assessed for potential damage. For example, mold can grow behind wallpaper. It can also live inside of furniture. In fact, anywhere there is moisture could be a mold infested zone. And thus, you’ve come to the first clue for dealing with mold. Mold needs moisture to grow. The fact is, mold spore can be present in the air without causing much trouble. However, if there is a moist spot, the mold can settle there and start growing. If that happens, by the way, the concentration of spores and toxins can be harmful to your health. Cutting off the source of moisture can prevent mold from reappearing. It’s as simple as that. You may wish to inspect your plumbing to see if any leaks are contributing to the situation. To remove mold, you need specialized skill and equipment. It is possible to do it yourself but that could expose you to further risks. For instance, you might inhale the fumes from the cleaning liquids. Chances are you might also breathe some of the molds in. Or, you might simply not clear the area the right way. To protect yourself and your family, make sure you get professionals to look at what’s going on. Since mold can cause allergies and other health issues, don’t hesitate to have an inspection as soon as you feel there’s a problem. The quicker you deal with it, the better it will be for you. Again, you want to prevent both health and financial damage. Once the mold has been cleared, make sure that you remove the sources of unwanted moisture. Ask for any advice that will help you avoid a similar problem in the future. Get in touch now if you have any questions. Mold is a fungus that consists of small organisms. Mold can be found anywhere and can be black, white, orange, green or purple. Mold thrives on moisture. Examples of where it can be found are leaking pipes, damp basements, around window frames or damaged roofs. 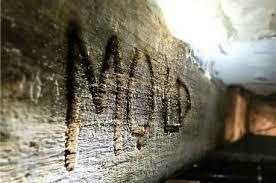 Mold can be removed by a mold removal company or by you. If you want to remove mold yourself, it will require several steps such as learning about moisture. Documenting the mold problem and creating a remediation plan is the next step. Remediation of mold contamination involves repairing the water problem, isolating the contaminated area, suppressing dust and removing all wet and mold-damaged porous materials. Additional steps are discarding all wet and mold materials in plastic bags, ensuring that they are closed and cleaning all non-porous materials and wood surfaces. 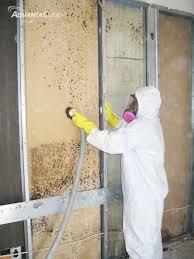 Dry all materials that have been cleaned and replace all materials that were discarded from the moldy areas. The last step is to determine if the clean up has been successful. Success would mean that the moisture problem has been fixed and that there is no sign of visible mold anywhere. If you choose to hire a mold remediation company, they will perform a step-by-step process to ensure that all mold is removed and cleaned. They also include HVAC cleaning. In addition, they may also repair and restore savable items. 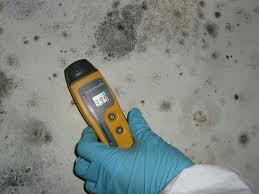 The first step your mold remediation company will do is to make a mold assessment. The next step, if needed, is taking samples. This is done if anyone in your home is experiencing health problems such as having difficulty breathing. Water damage restoration is the next process. The mold remediation company will find and seal off any water source before going to the next step. To find hidden leaks they will use scanners and probes. Then, the mold remediation company will dispose of items that are beyond repair. Items that are disposed of are pillows, mattresses and drywall. Drying is the next step. Drying will prevent the mold from spreading further. Once surfaces have dried out, the company will clean off items that need cleaning. Dry vacuuming and HEPA vacuuming is done to remove mold from the air as well as debris and dust. When the cleaning process is done, repair and restoration will be performed by the company. Before the mold remediation company leaves, they will give a debriefing on how to prevent mold from coming back. To conclude, Mold is a fungus that consists of small organisms. Talk with a mold remediation company and find out more. Having mold in your home or workplace can be quite challenging. Mold is not only harmful to your health but will also lower your home’s value if not treated early enough. Experts suggest that you treat mold as soon as you notice and while it is still manageable. The health problems caused by mold usually come out as allergic reactions, causing illnesses such as asthma attacks, skin rashes and sneezing among other conditions. If you ever notice any mold in your home or office, you’ll need to call a professional mold removal service provider. 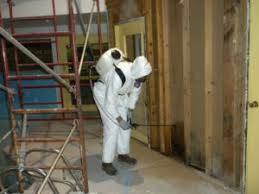 Mold removal involves the use of various products and tools to kill the parasite that brings about the spread. Without proper use of these products and tools, mold will usually come back. This is why it is important that you only hire a professional to handle your case. 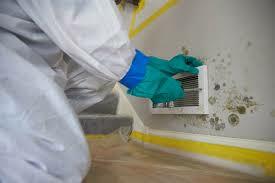 There are many mold remediation services to choose from and deciding which one to select can be confusing. A simple Google search will present you with countless mold removal companies operating in your area, making it even more difficult to separate the good from the not-so-good. The first thing you need to check when considering a potential mold removal service is an experience. It is essential that you only choose a company that has been operating for an extended period of time. You also need to ensure the company you choose has a good reputation among previous customers by reading reviews from various sources. Before treating your home, a reliable company will first carry out an inspection before formulating strategies that will both get rid of your current predicament and prevent farther problems down the road. Mold removal services must adhere to strict rules and regulations before they are handed a license to run their business. Proof of license, therefore, indicates professionalism and you’ll have more confidence in trusting your home to a licensed professional. Workers compensation insurance is an insurance policy that covers workers in case they get injured while working at your home. This type of cover will protect you from financial responsibility in case one or more workers get into accidents while at your premise. The cost of mold removal will vary based on factors such as the severity of the mold infestation and individual prices set by different companies. For an easier time comparing services, look for services that offer free estimates. By gathering estimates from different companies, you’ll be able to choose a company that is just right for you.